ABOVE: Bob McCosker says goodbye to Dori before releasing her into the ocean. 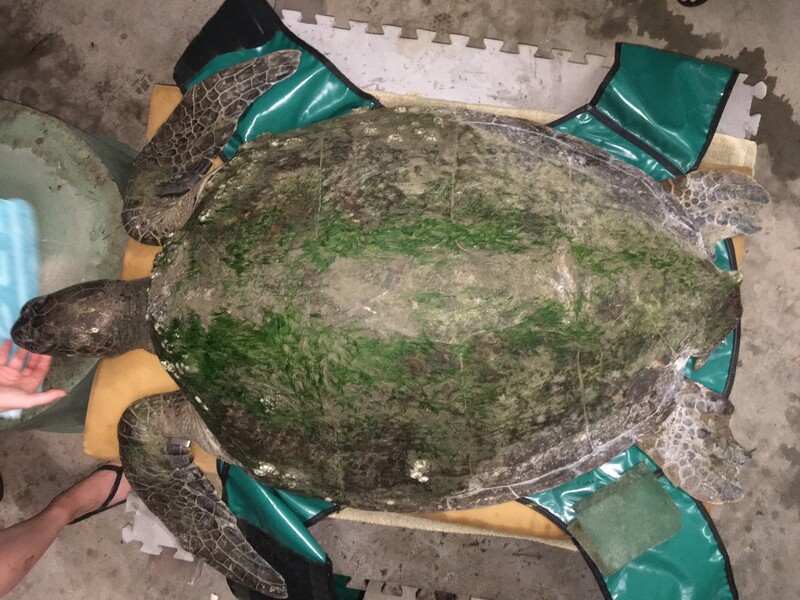 When Dori the Green Turtle arrived at Australia’s Quoin Island Turtle Rehabilitation Centre (QITRC) in May 2016, she was severely underweight, suffering from several visible injuries and was having trouble breathing. Had she not been rescued from the Gladstone Harbor, near the Wiggins Island Coal Terminal, she likely would not have survived much longer. Soon after her arrival at QITRC, which is locally owned and operated, Dori had surgery to remove a mussel shell stuck in her throat so that she could breathe freely. A stab wound behind her head was not as easily treated, however. Infection set in and ultimately required 18 months of treatment to eradicate. Dori on her first day at QITRC. Classified as endangered, Green Turtles such as Dori are one of the largest sea turtle species and are named for the greenish color of their cartilage and fat. They are found mainly in tropical and subtropical waters and migrate long distances between feeding grounds and the beaches where they hatched. The species is threatened by overharvesting of their eggs, loss of nesting sites, hunting and injury from boats and fishing gear. When first admitted to QITRC, Dori weighed less than 165 pounds. When she was released back into the sea December 2018, she weighed about 310 pounds. Nursing her back to health required a team of volunteers and veterinarians. And thousands of pounds of squid — rehabilitation center owner and island resident Bob McCosker estimates Dori consumed about $30,000 in squid during her stay. 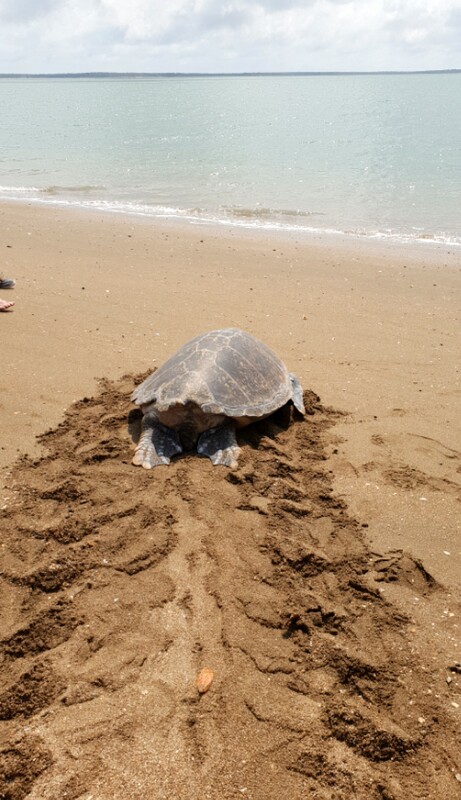 ConocoPhillips Australia Pacific LNG operation has supported QITRC and its efforts to rehabilitate marine turtles since 2013. The facility is licensed by the Queensland Government and is supported by specialists at both the Australia Zoo and SeaWorld. It has four stand-alone tanks, an in-ground heated rehabilitation pool, an air-conditioned treatment room and dry dock room, water filtration systems and a necropsy facility. APLNG has provided funding assistance for food, medical and veterinary expenses, rescue boat and volunteer transport from the mainland to Quoin Island since 2013. More than 200 turtles have been helped at QITRC since it opened in 2012. Most were injured by boats or caught up in fishing line or crab pots and came to the center unable to swim or dive. The goal is to rehabilitate them and reintroduce them into the ocean.